The telegram said ‘killed in action’ and the tears flowed. But this wartime hero had a cold nose and four legs. 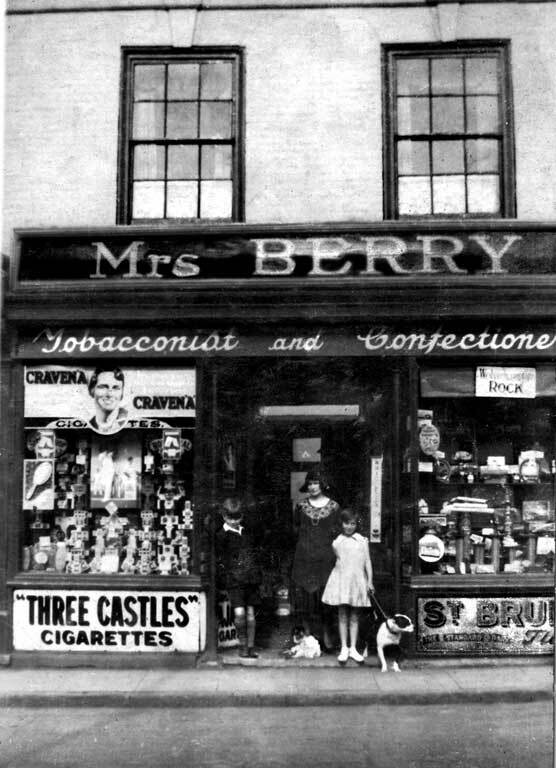 Doris Berry was born in Chester Street, Whitmore Reans in 1921, but when she was five her grandmother who had a sweet shop in Stafford Street close to the town centre died, so they moved into the shop which was then situated next door to the ‘George Hotel’. 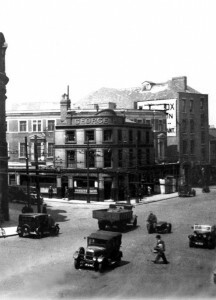 In 1928 the owners of the business’s around the top of Stafford Street received letters to tell them their shops were to come down to provide land for an extension to the Technical college. So Doris’s mother quickly acquired similar stores close by in North Street recently vacated by Paultons, and this turned out to be a little goldmine. It was a scene played out all over the country in wartime Britain – But with one major difference. The family weeping in the house as the much loved youngster goes of to war; sobs and kisses as they see him off at the station, and later on, torrents of tears as the dreaded letter arrives, and the family read the terrible words “killed on active service abroad”. 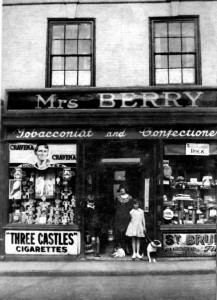 In the case of the Berry family, tobacconists and confectioners of North Street, Wolverhampton, however, the slain war hero was their Staffordshire bull terrier, Prince. “I’ll never forget taking him to the station, with his label tied round his neck,” said Doris, who was a young girl at the time. “Oh, it was terrible. We never saw him again after we put him in the guard’s van. We cried then, and we cried when he died. “Dad was a Sergeant Major in the REME, stationed at Wednesfield, and looked after all the guns in the Midlands. When the Army asked for dogs, he said, Prince could go. You see we didn’t have much to feed him on then, and you only had so much yourself. Doris still remembers the letter saying Prince had been killed abroad, although no other details were given . Even Doris, by then a 19 year old hairdresser had her life turned upside down as the struggle to beat Hitler continued. 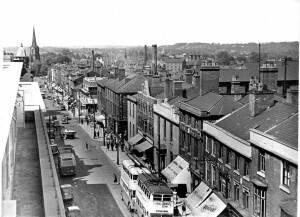 Soon after she left her first employers , Mary Mobley’s in Broad Street to work at “the poshshop,” as Doris called it; down Darlington Street, run by a lady called Dolls Willetts, a government official came in and ordered all the girls to report for work at the Wolverhampton Die Casting.